As an indie author, I remember how disheartening it was to launch my first romance novel to the sound of crickets. I think I had about 30 sales total (shoutout to my mom and friends!). In addition to committing many first-time author sins, one of the main reasons my book failed was because I launched without building an ARC team. Take a look from the reader’s perspective: They’re browsing for a new book to get lost in. Your book cover entices them, and now they’re intrigued. Naturally, they scroll to the reviews to see if it’s worth their hard-earned money. If your book has no reviews, then they have to take a risk. Or…they could easily spend their $2.99 on your competitor’s book, which has glowing reviews. For readers, this is a no-brainer. This was a harsh lesson for me to learn: You can’t count on every reader to give you the benefit of the doubt. You need to make the decision to buy your book as easy as possible for readers, with plenty of social proof (i.e, reviews). After taking the time to develop my ARC team, I launched my second book with five-star reviews and ended up selling hundreds of copies. While I’m not rich and famous yet, it showed me the value of building an ARC team and getting those all-important reviews. An email newsletter is one of the most important pieces in an author’s toolkit. There are plenty of inexpensive newsletter providers out there. I personally use Mad Mimi, but Mailchimp and Aweber are also popular among indie authors. (Btw – Mailchimp is FREE for up to 2,000 subscribers). Once you have a sign-up link to your newsletter, slap that thing everywhere. Put it in your book’s front matter, back matter, website pop-up, sidebar banner, social media bios, etc. Your newsletter will allow you to directly reach out to your readers for reviews. A lead magnet is something free that people get in exchange for signing up. This will help you collect as many sign-ups as possible. For indie authors, this is usually a free book or bonus chapter. I write romance, so I typically offer a steamy short story, or a “slice-of-life” chapter that shows the main characters enjoying their Happily-Ever-After bliss. *Note: If you have two different lead magnets, you’ll need to create two separate landing pages for them. Learn more in Step Three. If you haven’t published a book yet, you can still build up your subscribers. I’ll talk more about it in Step Three. Once you have a lead magnet, you need a way of distributing it to people. Services like Instafreebie (now called Prolific Works) and BookFunnel are perfect for this. While you can do it manually yourself, you’ll have to put on your IT Support hat when readers can’t load the file on their devices. It’s much easier to let a third-party service handle the work for you. If you choose Instafreebie/Prolific Works, create a private giveaway and upload your lead magnet. This allows you to have a professional landing page where readers can claim their freebie. Since it’s private, only readers who’ve subscribed to your newsletter can see it. If you use BookFunnel, create a download page for your freebie that does not collect emails. So, how exactly does this all come together? When setting up your email newsletter, edit the automated “thank you” email that your readers receive after they’ve opted in. In this message, include the link to your freebie landing page or download page. (If the landing page is password protected, be sure to also give your readers the code in this email). This makes everything streamlined: Reader signs up for your newsletter > reader receives “thank you” email with link to freebie > reader claims freebie on landing page. If you haven’t published a book yet, you can still use a lead magnet to build your subscriber base. First, create a public giveaway to reach new readers on Instafreebie/Prolific Works and upload your freebie. I recommend offering a standalone book (short story or novel), or you can offer the first few chapters of the novel you’re working on. Public giveaways are visible within Instafreebie’s platform and are discoverable by readers. 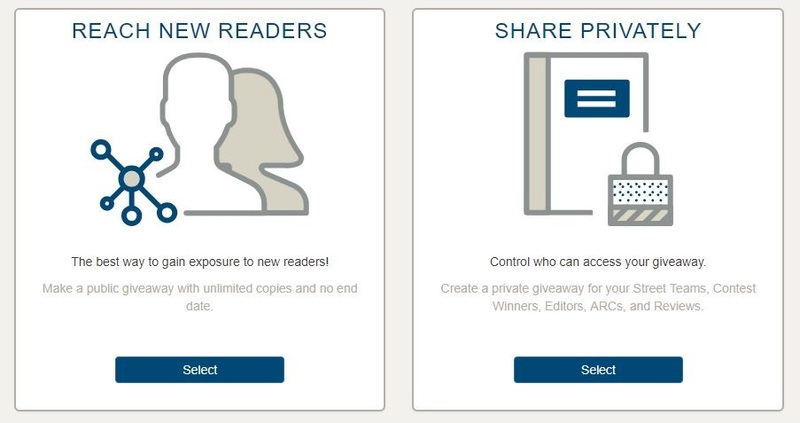 In order to download the freebie, you can require readers to sign up for your newsletter first. Afterward, you simply export your subscribers from Instafreebie as a CSV file, and then import them into your newsletter service, such as Mad Mimi or Mailchimp. You’re almost there! Now it’s time to reach out to your subscribers. 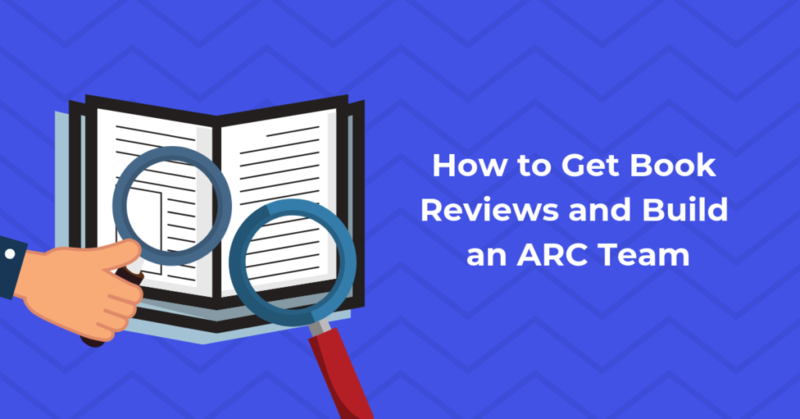 Send out an email to your list and get people excited about the chance to be on your ARC review team. To make things easier, I suggest directing them to a separate list where they can officially opt-in to become part of your ARC team. You can also do it manually and keep track of who wants to participate using a spreadsheet. This is fine for authors who don’t have many subscribers, but it makes things difficult as your subscriber list grows. Once you’ve rounded up your ARC team, distribute the free review copy to them using your distribution service of choice (such as Instafreebie/Prolific Works or BookFunnel). It’s very similar to distributing your lead magnet. You’ll just need to create a landing page/download page, then provide readers with the link. The date you plan on publishing (I usually give them a week to read). Notify them that leaving a review is very much appreciated, but it is not required. (You cannot force readers to leave reviews. Be sure to also reiterate that these should be honest reviews). Per FTC guidelines, readers must disclose in their review that the author provided them with a free copy. (Most readers are aware of this and they know the drill). You’ll let them know when the book is live. Yay! Now it’s time to reap the benefits of all your hard work. Once the book is live, notify your ARC team. Since the book may be distributed to dozens of stores, I usually ask them to just leave reviews on Goodreads, Amazon, and the other major stores. Instafreebie/Prolific Works and BookFunnel require your freebie or lead magnet to be uploaded in an ebook format. Be sure to head over to our FREE public ebook converter to create a beautifully formatted ebook. If you need help preparing your manuscript for conversion, we have a super helpful guide here. Be sure to deactivate your ARC giveaway before publishing, especially if you’re exclusive to any retailers. If your ARC strategy wasn’t as successful as you hoped, don’t worry. You can take advantage of our free marketing tools after your book is published. We offer FREE review copy distribution of your books through Apple Books, Google Play Books, and Kobo. While your ARC team will mostly be made up of everyday readers, consider using our review tool for reaching out to influencers, bloggers, and others with larger audiences. To take advantage of our review service and other helpful features, sign up for PublishDrive today!